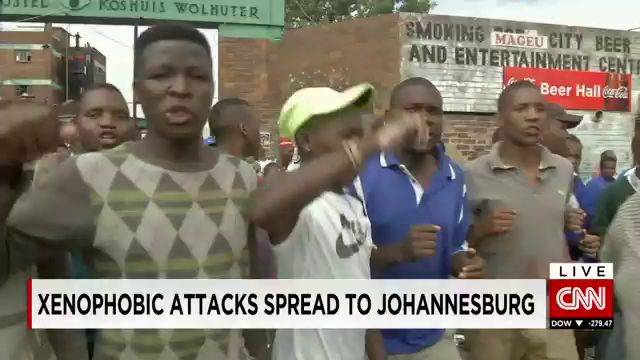 JOHANNESBURG – Mobs in South Africa attacked shops owned by immigrants in a poor area of Johannesburg early Saturday following similar violence in another part of the country that killed six people, according to media reports. There was a heavy police presence in Alexandra township after rioters looted some shops, burned tires and built street barricades overnight. The report says police fired rubber bullets in an attempt to stop the unrest, news outlet eNCA reported. Several shops and cars owned by immigrants were torched in downtown Johannesburg in recent days. Attacks on immigrants, many of them from other African countries, in and around the coastal city of Durban have subsided after the deaths of six people there, police said. Some 112 people were arrested in KwaZulu-Natal province, which includes Durban, during the riots there, according to authorities. Some South Africans have accused immigrants of taking jobs and opportunities away from them in a country with high unemployment. The government has said it is addressing complaints about undocumented migrants, while noting that many foreign nationals are living legally in South Africa and contributing to economic development. 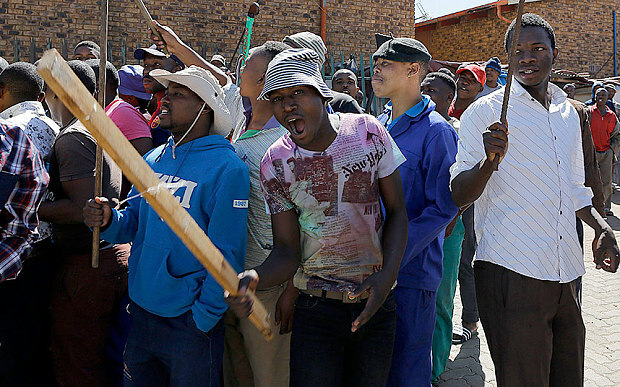 About 60 people died in similar unrest in South Africa in 2008. In January this year, four people died during a week of looting of foreign-owned shops and other violence in Soweto and other areas of Johannesburg. 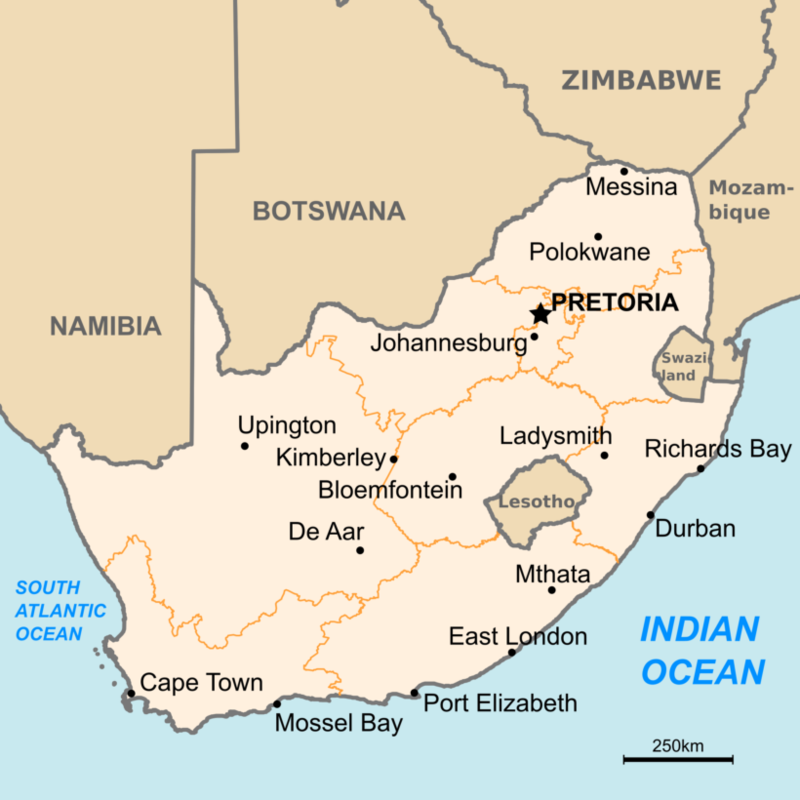 South Africa, with a population of about 50 million, is home to an estimated 5 million immigrants. Unemployment is around 25 percent and youth joblessness is nearer to 40 percent. [The focus of the attacks have been black Africans and in some cases Pakistanis, Indians and Bangladeshis. Apart from an instance in which a white South African woman’s car was stoned as she drove through a violent area of Johannesburg last week, no whites have been targeted. Commentators believe this is because black Africans are in competition with locals over menial jobs, whereas whites and others from wealthier nations are largely perceived as providing jobs. Whites also rarely live in the poorest areas where foreigners have been attacked. President Jacob Zuma on Saturday cancelled a state visit to Indonesia to deal with surge in violence, and pleaded with foreigners to stay in South Africa. EU foreign ministers promised on Monday during an emergency meeting in Luxembourg to do more to stop migrant deaths in the Mediterranean by increasing rescues and catching traffickers, stung by a weekend tragedy that killed up to 700 people off the Libyan coast. Northern European Union countries have so far largely left rescue operations to southern states such as Italy. In the week prior to the weekend’s tragedy, the Italian coast guard rescued almost 8,000 migrants in the Mediterranean, according to the European Commission, the EU’s executive. At least 3,500 people, many of them fleeing poverty and fighting in Africa, died trying to cross the Mediterranean to reach Europe in 2014, according to the United Nations. EU foreign policy chief Federica Mogherini, also an Italian, said she was determined to build a “common sense of responsibility” to tackle the crisis and that EU leaders are considering an emergency summit in Brussels this week. Solutions aired by ministers on their way into the Luxembourg conference center included a call by Britain to crack down on smugglers in North Africa who charge thousands of dollars to load people onto rubber dinghies and fishing boats. Austria said it supported an Italian proposal to set up camps in the Middle East and Africa where people can request asylum on site without having to risk their lives crossing the Mediterranean to reach Europe. Italy wants Egypt and Tunisia to play a role in rescuing stricken migrant vessels in the Mediterranean. 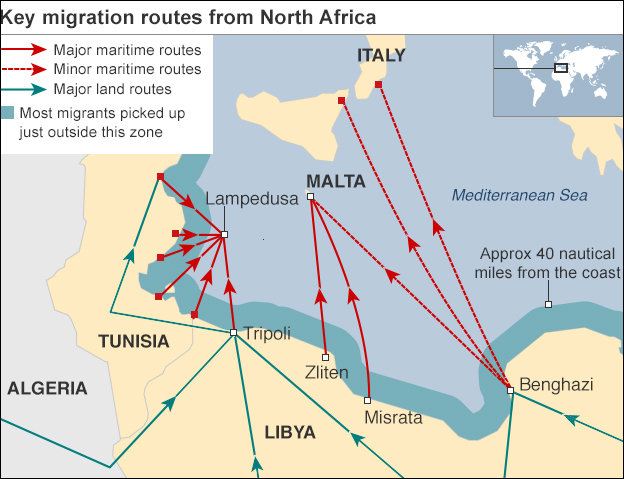 Once the migrants are taken out of the sea by the Egyptians or the Tunisians, they could be taken to North African ports. BOGOTÁ—Colombia’s military moved to restart aerial bombing raids on rebel camps after Marxist guerrillas killed 11 soldiers in a rural attack, threatening peace talks the government had recently said could be completed this year. The government blamed the Revolutionary Armed Forces of Colombia, or FARC, for an attack with guns and grenades on an army platoon late Tuesday night (April 14). The rebels said government troops initiated the skirmish, which occurred in the Andean state of Cauca and injured at least 17 other soldiers. The sudden escalation of hostilities seemed likely to undermine trust between negotiators who are now in Cuba trying to end a half century of conflict that has killed tens of thousands of people. President Juan Manuel Santos staked much of his presidency on the promise of ending the insurgency and yielding the economic dividend that would result from peace. He has come under great political pressure to crush the guerrillas militarily rather than negotiate with them. Since Mr. Santos launched the talks in late 2012, the two sides have agreed to three out of five major points, with Colombian officials late last year expressing optimism that a peace deal could be signed before the end of 2015. The rebels pledged a unilateral cease-fire in December, and said they would remain in place unless they had to respond in self-defense. In response, the Colombian government last month pledged to halt all aerial bombing of FARC camps. Initial public support for the talks had flagged last year amid their slow pace and after the FARC killed several policeman and kidnapped a general. But backing has crept up again, important because it is likely that any accord would have to be approved in a nationwide referendum. Even amid the truce, Mr. Santos’s government hadn’t agreed to halt ground combat, fearing that the guerrillas would use the break in hostilities to replenish their forces. General Mario Augusto Valencia, commander of the army’s third division, said that troops from the Apollo Task Force were operating in a rugged, mountains area where the military knew there were guerrillas. “Our men were carrying out a territorial control operation, protecting civilians,” he said. b) Why have African immigrants in South Africa been attacked recently? c) What is the South African government doing to protect the victims? d) Are you surprised by this violence against foreigners in South Africa? Explain your answer. b) Why haven’t European governments assisted Italy thus far in launching rescue operations for migrants trying to cross from Africa to Europe? c) What solutions did the EU ministers suggest at the emergency meeting? d) Many of the 700 people believed to have drowned off the coast of Libya on Sunday were likely fleeing Eritrea and Somalia. Most of the 170,000 people who illegally reached the European Union’s Mediterranean shores last year came from sub-Saharan Africa, according to the EU border agency. At least 3,200 perished on the journey between Libya and Italy, making it the deadliest migrant route in the world. What do you think the EU should do about the tens of thousands of migrants risking their lives to reach Europe this way every month? 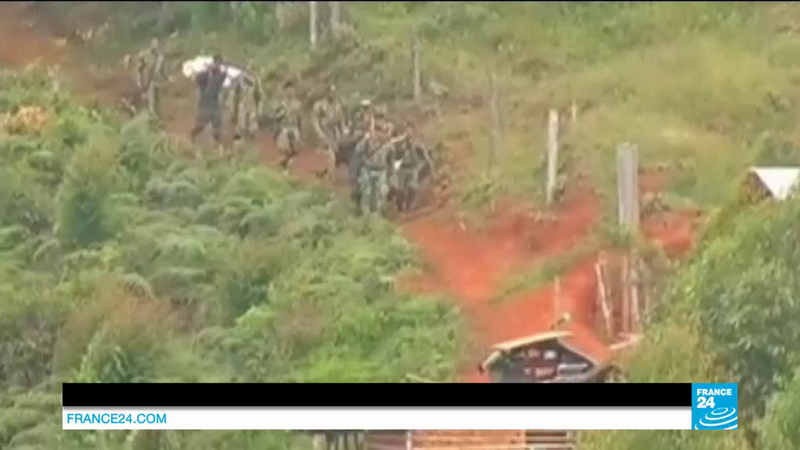 b) There had been a truce between the FARC rebels and the government during on-going peace talks. Why hadn’t President Santos, who believes FARC can be trusted to negotiate with for a lasting peace, agreed to halt ground combat during the truce? Up to 10 per cent of South Africa’s population is made up of immigrants from across the continent, including Zimbabwe, Somalia, Ethiopia and Malawi. The country has experienced outbreaks of violence against such immigrants before, amid perceptions that they are responsible for an increase in crime and are taking scarce jobs. South Africa’s economy grew by just 1.5 per cent last year and unemployment is at around 25 percent – soaring to over 50 per cent among young people. “I won’t keep quiet when people who have no say are playing with this country,” he said. “We ask that immigrants must pack their bags and go back where they came from.” Mr. Zwelithini has since said his words were misinterpreted. On Monday he was expected to host a meeting of senior tribal leaders, when he was expected to urge the violence to end. Far from condemning the comments by the Zulu king, who holds sway in a province that President Zuma and his African National Congress allies rely on to stay in power, other influential figures added fuel to the flames. President Zuma’s son Edward claimed foreigners were “taking over the country” and raised the possibility of a coup. Gwede Mantashe, the ANC’s Secretary General, suggested that all undocumented migrants would have to be moved to refugee camps. This week, Mr. Zuma sought to dampen the ire by promising to crack down on unchecked immigration, while reminding his countrymen of the debt they owed their neighbors for sheltering exiles during apartheid. “The attacks violate all the values that South Africa embodies, especially the respect for human life, human rights, human dignity and Ubuntu (togetherness),” he said. COLOMBIA: FARC (The Revolutionary Armed Forces of Colombia): President Santos has been in peace negotiations with the FARC; others oppose negotiations with FARC and say they should be held accountable for their terrorist/criminal activities. Experts estimate that FARC takes in between $500 million and $600 million annually from the illegal drug trade. The FARC also profits from kidnappings, extortion schemes, and an unofficial “tax” it levies in the countryside for “protection” and social services. FARC is a guerrilla organization, self-proclaimed Marxist-Leninist. 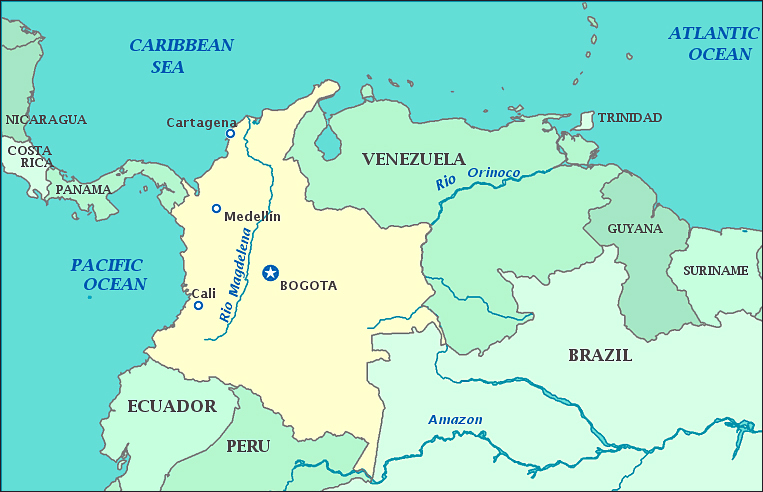 The FARC is considered a terrorist group by the Colombian government, the United States, Canada, the Latin American Parliament, and the European Union. The FARC claim to be an army of peasant Marxist-Leninists with a political platform of agrarianism and anti-imperialism inspired by Bolivarianism. The operations of the FARC are funded by kidnap to ransom, illegal mining, extortion and the production and distribution of illegal drugs. 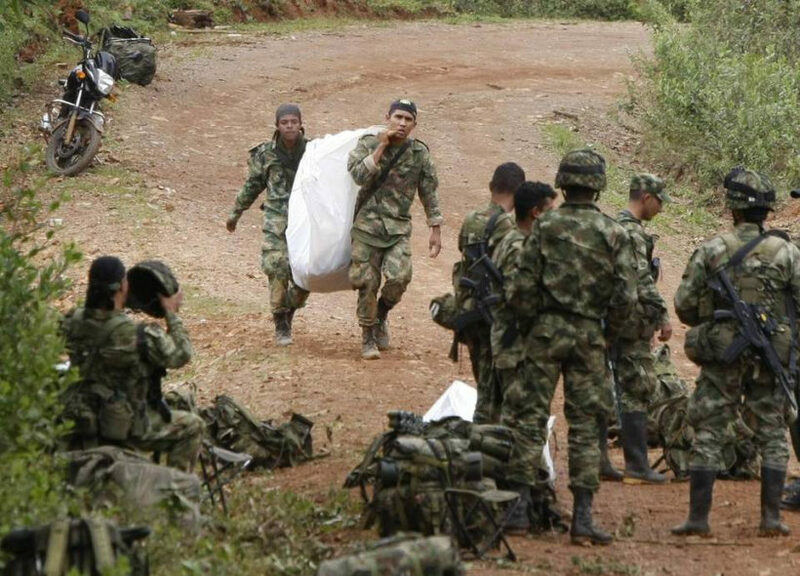 FARC is responsible for most of the ransom kidnappings in Colombia; the group targets wealthy landowners, foreign tourists, and prominent international and domestic officials. FARC stepped up terrorist activities against infrastructure in cities before Colombia’s May 2002 presidential election. The FARC’s stated goal is to overthrow the current democratic government of Colombia and replace it with a Communist government. The FARC continues to wage a war of words devoted to Marxist principles, despite the fact that many of its battles are fought with the less idealistic motive of controlling the illicit drug (cocaine) industry.